CANTON, MA (September 27, 2016) – With October around the corner and thoughts turning to cooler, crisper days in many parts of the country, Dunkin’ Donuts has introduced a new hot chocolate flavor for fall sure to help sweeten the season. 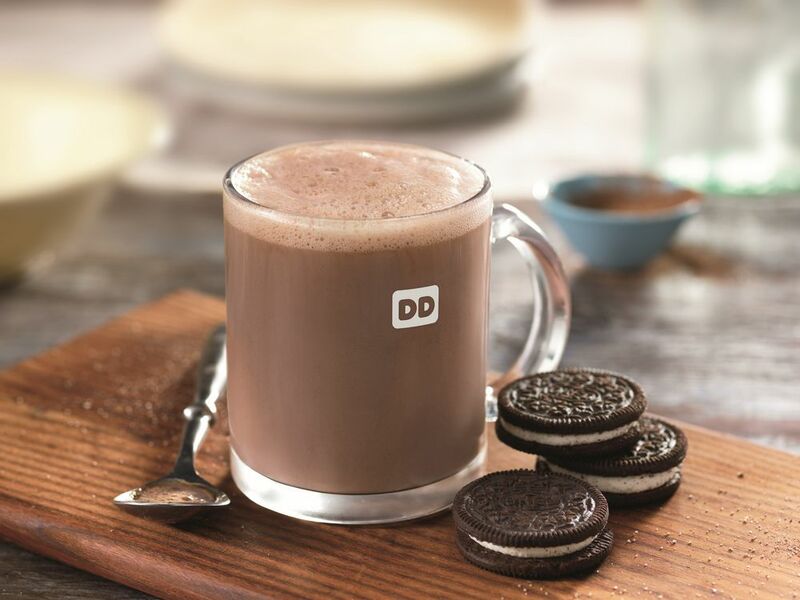 Beginning today and continuing through the fall and winter seasons, participating Dunkin’ Donuts restaurants nationwide will serve OREO® flavored Hot Chocolate. With the rich flavors of cookies and crème, OREO flavored Hot Chocolate is available for a limited time as part of Dunkin’ Donuts’ lineup of hot seasonal beverage offerings, joining Dunkin’s favorite flavors such as Original Hot Chocolate and Dunkaccino®. 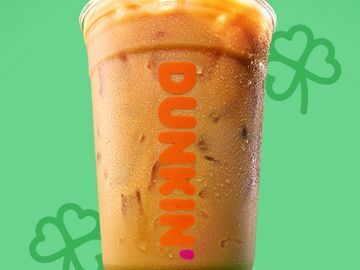 Additionally, for National Coffee Day on Thursday, September 29, Dunkin’ Donuts will honor its 66-year coffee heritage by offering any medium-sized cup of the brand’s signature hot coffee for the special price of 66 cents, at participating Dunkin’ Donuts restaurants nationwide. 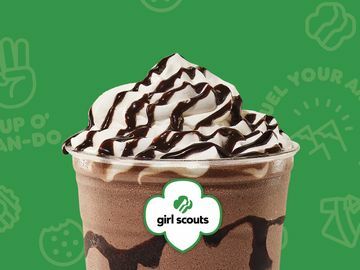 This week Dunkin’ Donuts is also serving up a special surprise for select members of the brand’s social community. 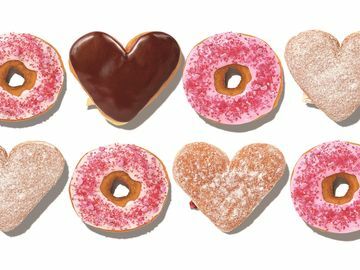 Starting this past Monday and continuing through National Coffee Day, Dunkin’ Donuts is surprising a total of 66 of its Twitter followers with Dunkin’ Donuts cards good for a year’s worth of free coffee. The special cards are created exclusively for these 66 fans to help recognize their passion for Dunkin’ Donuts coffee. For more information, please visit http://bit.ly/2binP5h. 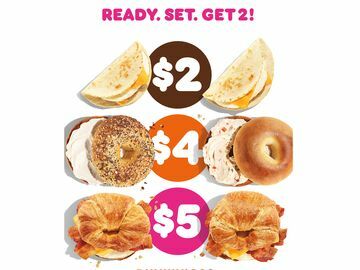 Dunkin’ Donuts’ entire autumn array offers one of the largest varieties of pumpkin choices of any national restaurant chain, available all day long, including pumpkin flavored coffees, lattes, macchiatos, donuts, MUNCHKINS® and muffins. Salted Caramel flavored coffee, lattes and macchiatos combine sweet and salty in a delicious blend for fall, and are served hot or iced. REESE’S Peanut Butter Square, filled with rich and creamy REESE’S peanut butter buttercreme, topped with chocolate icing and finished with an orange icing drizzle to match the colors of traditional REESE’S Peanut Butter Cups. Caramel Apple Croissant Donut features a glazed croissant donut with apple filling, finished with caramel icing drizzle, for an additional delicious and delectable donut delight. Dunkin’ Donuts Pumpkin flavored K-Cup® pods and packaged Pumpkin flavored coffee are available at participating Dunkin’ Donuts restaurants as well as online at http://shop.dunkindonuts.com. Additionally, new Pumpkin Spice flavored packaged coffee and K-Cup® pods are available at grocery stores nationwide for a limited time only. Dunkin’ Donuts Belgian Waffle Breakfast Sandwich includes Cherrywood smoked bacon, egg and American cheese served between two thick, deep-ridged Belgian Waffles, golden brown on the outside and fluffy and light inside for a scrumptious and satisfying sandwich served any time of day. OREO is a registered trademark of Mondelēz International group, used under license. K-Cup® is a trademark of Keurig Green Mountain, Inc., used with permission. Founded in 1950, Dunkin' Donuts is America's favorite all-day, everyday stop for coffee and baked goods. Dunkin' Donuts is a market leader in the hot regular/decaf/flavored coffee, iced coffee, donut, bagel and muffin categories. Dunkin' Donuts has earned a No. 1 ranking for customer loyalty in the coffee category by Brand Keys for 10 years running. The company has more than 12,000 restaurants in 44 countries worldwide. Based in Canton, Mass., Dunkin' Donuts is part of the Dunkin' Brands Group, Inc. (Nasdaq: DNKN) family of companies. For more information, visit www.DunkinDonuts.com.